The core focus behind Panorama is saving you time, impressing your clients and helping you make more money. We’re always looking for ways that Panorama can help improve your business. Typically we’ve done that by adding features that streamline your processes and simplify client communication. Today we’ve taken a different approach. Many projects involve monetary exchange. You collect money from your clients throughout a project. Until now, this would all be handled through a third party system. We realized however this is an imperfect approach. It’s not streamlined, it’s not seamless. We’ve contemplated building our own invoicing system into Panorama but always came to the conclusion that there are more mature, robust solutions out there. It would be better to build an integration. So we partnered with the most robust, full featured invoicing system for WordPress, SproutInvoices. Project Management has been one of those Sprout Apps on the roadmap since my first commit on Sprout Invoices. After today the commitment to create a fully integrated Project Management solution will be kicked far down the road, far enough to be possibly forgotten. This is because Sprout Apps has partnered with Project Panorama to integrate their fully featured PM tool with Sprout Invoices. As a fan of Project Panorama you value time, you expect streamlining processes, you enjoy a single spot that provides business workflow. I’ve found that Sprout Invoices provides these very same values, and expectations in its product. Here’s a quick overview of some key features that may you may fit your business as a Project Panaomara user. 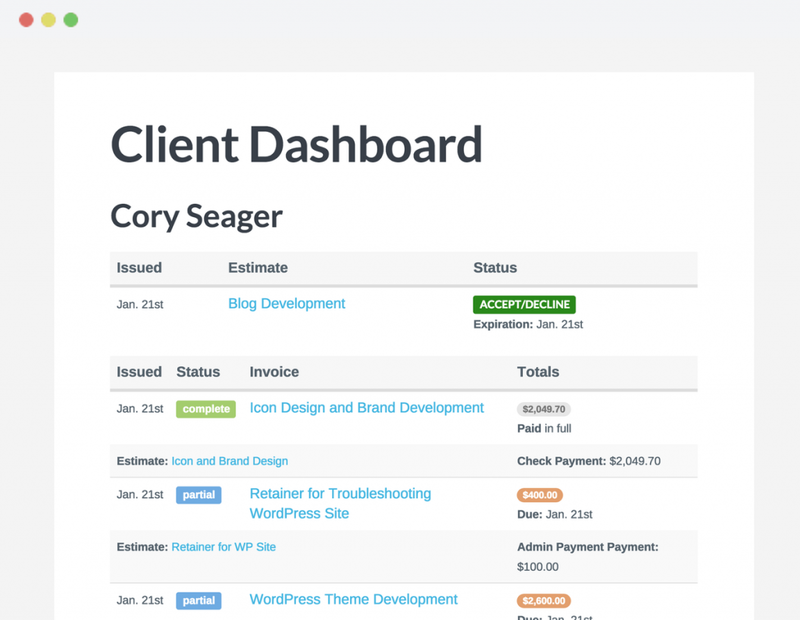 Estimates can be fully customized and if you’re familiar with customizing a WordPress theme than you can easily create a custom estimate or invoice template. Sprout Invoices also provides the ability for multiple templates, that way you can have your clients be invoiced differently. PayPal, Paypal Pro, and Stripe are all supported but SI has many more available, even P.O. and checks methods. Obviously one of Sprout Invoices’ goals is to get you paid fast and easy. The Sprout Invoices client dashboard provides your clients an easy way to view their outstanding invoices, review estimates, and view invoice payment history. Combined with the Sprout Billings add-on clients can manage payment profiles and pay with one click from the client dashboard. Sprout Invoices removes hoops and hurdles required in a typical workflow of accepting estimate requests, creating an estimate and getting paid. Have a look at their solutions page for more information on how the goal of SI can help you. If those features and the many others still makes you ask “why?”, please read What Sprout Invoices Sets to Solve. Dan Cameron built Sprout Invoices to solve a major problem within many of our business workflows, which is that lost time performing tedious tasks between accepting an estimate and getting paid. Now that you’re familiar with Sprout Invoices and what it has to offer here’s what an integration between the two would look like. Sprout Invoices has three tiers, including a free version that includes many of the core features you need to get started. If Panorama has helped your business grow you’ll find that Sprout Invoices is a perfect partner. With an integrated system you’ll spend less time switching between applications and your clients will appreciate all their important information in a single place. 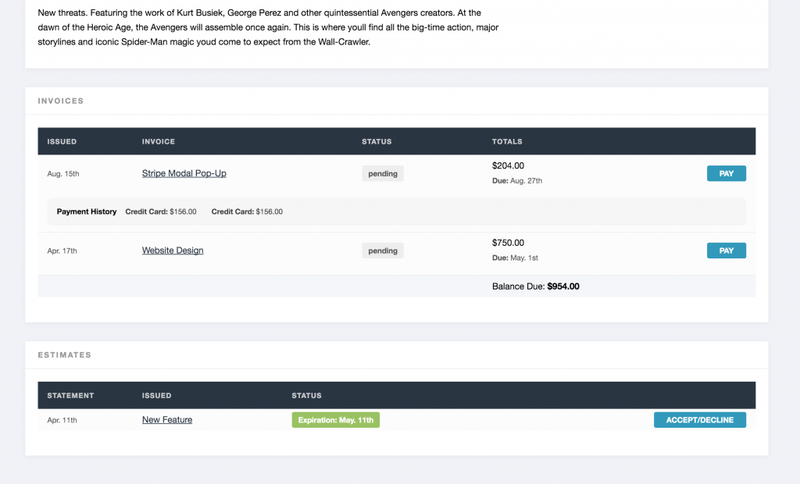 I’m looking to use both sprout invoices and panorama. I see panarama is a free addition… hat isn’t the app correct. Just the integration? Hi Eddie, that’s correct we have the integration available for free but Panorama Core is a paid product!